This week, the Parliamentary Ad hoc Committee on Probing Violence against Foreign Nationals released its report on its investigations into the xenophobic attacks that occurred in April and May 2015. 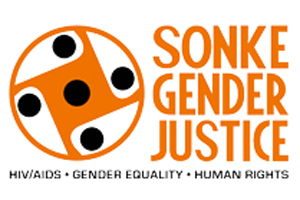 Sonke Gender Justice (Sonke) and Lawyers for Human Rights (LHR) note the report with disappointment due to the lack of adequate analysis on xenophobia and especially King Zwelithini’s role in catalyzing the attacks. Xenophobia is driven by a pre-existing prejudice towards a person or people based on their nationality or social origin. While South Africans were also affected and harmed in the 2008 and 2015 xenophobic attacks, the vast majority of cases of violence and harm were specifically directed towards foreign migrants by South Africans. The Committee missed an important opportunity to denounce the xenophobia of many South Africans, and speak out strongly against violence, prejudice and discrimination. ​The audio file of the King’s fifty minute speech is available on the Sonke website. 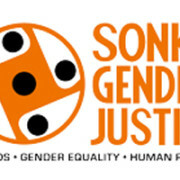 Sonke and LHR believe that this speech amounts to hate speech as defined by Promotion of Equality and Prevention of Unfair Discrimination Act (the Equality Act). Sonke presented a written submission to the ad hoc committee in which they provided the King’s full speech. Sonke also provided evidence of how the King expressed strong anti-foreign national sentiment, and attributed a range of negative and harmful qualities to cross-border migrants that appeared to have elicited strong popular appeal among the King’s supporters. They asked that the Ad Hoc committee hold the King accountable for his words, apologises, as well as, request the King to initiate and actively participate in community dialogues between South Africans and foreign migrants with the aim of building stronger and more cohesive communities. In its report, the Ad Hoc Committee provides no analysis or findings on the King’s Pongola speech. It is essential that the King be held accountable for his hate speech. We believe that the Ad Hoc Committee has ignored the impact of the King’s anti-foreigner sentiments and the role it had played in the xenophobic attacks. We are aware that the South African Human Right Commission has received a number of complaints about hate speech by the King, and is still to release its findings. Our attempts last week to obtain a progress update by the Commission were unsuccessful. Sonke and LHR, therefore call on the SAHRC to urgently release its report on xenophobia and to hold King Zwelithini accountable for his words.